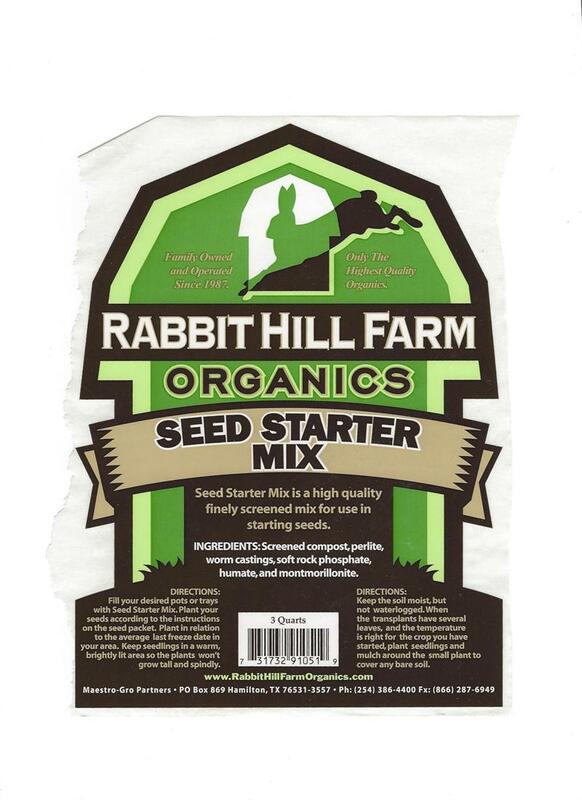 Seed Starter Mix is a high quality finely screened mix specifically for use in starting seeds. 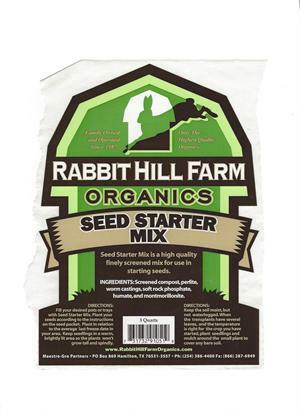 Fill your desired pots or trays with the Seed Starter Mix, plant you seeds according to the instructions on the seed packet. Plan in relation to the average last freeze date in you area. Keep seedlings in a warm, brightly lit area so the plants wont grow tall and spindly. Keep the soil moist, but not waterlogged. When the transplants have several leaves, and the temperature is right for the crop you started, plant seedlings and mulch around the small plant to cover any bare soil. Ingredients: Screened compost, perlite, wormcastings, Tennessee brown phosphate, humate and Montmorillonite.